The Sporting Arms and Ammunition Manufacturers’ Institute® (SAAMI®), one of the world’s foremost experts on firearm and ammunition safety and reliability, is pleased to announce that it has enhanced its website with a new “Frequently Asked Questions” feature. The feature, a searchable online document, is available through the SAAMI website home page. 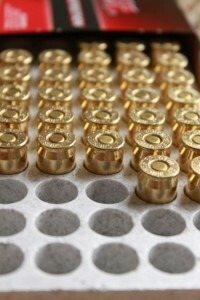 Headquartered in Newtown, Connecticut, SAAMI was founded in 1926 at the request of the federal government to create safety, reliability and interchangeability standards for the firearms and ammunition industries. An ANSI-accredited standards developer, SAAMI also coordinates technical data, promotes science-based decision-making by regulators and legislators and promotes safe and responsible firearms use. These efforts are conducted on a global scale. For more information, visit www.saami.org.